In this section we have a number of photographs showing the view looking south & north from the footbridge. 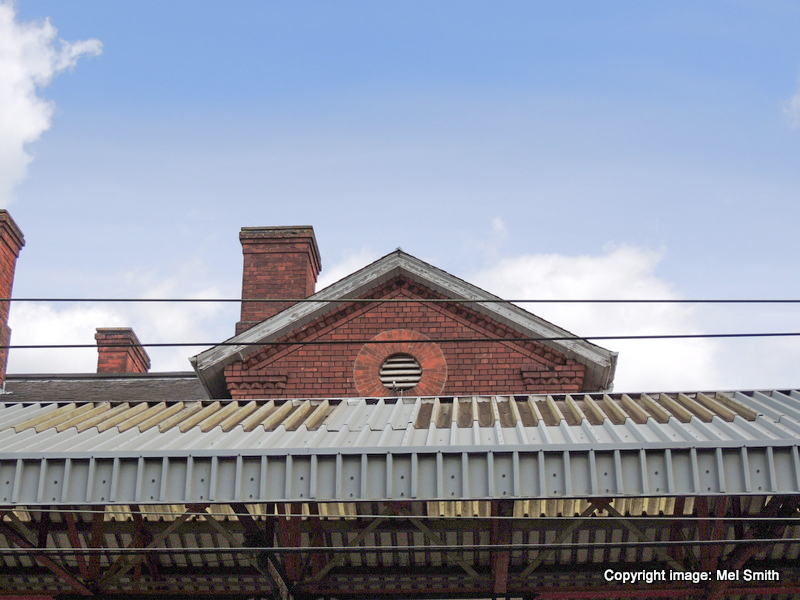 They include stairs and roof lines and odd corners of the station with detail often missed by the casual observer. 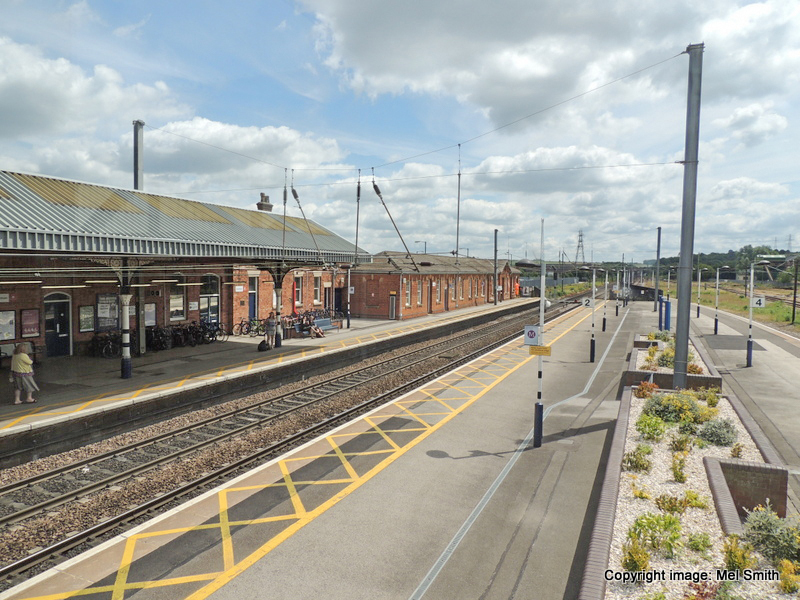 You can compare these images with similar views shown in our 1970s B&W station survey. Looking south, the buildings on the left have barely changed over the years. In the foreground and beyond, platform's 2 & 4 now seem exposed and with very little character. 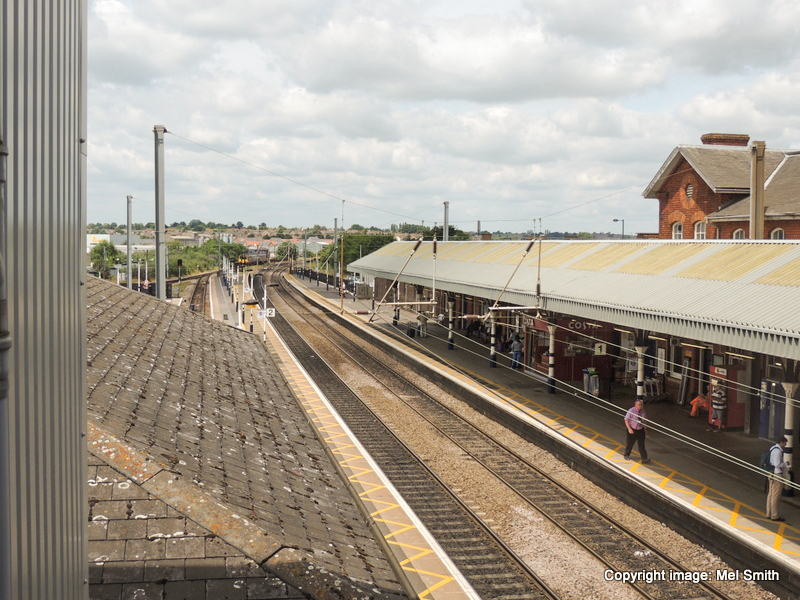 Looking north, the tiled roof line of platform 2 on our right contrasts with the replacement corrugated roof over platform 1. In the distance we can see the right hand curve towards Barrowby and Peascliffe. The relatively new and heightened footbridge spans both main lines. 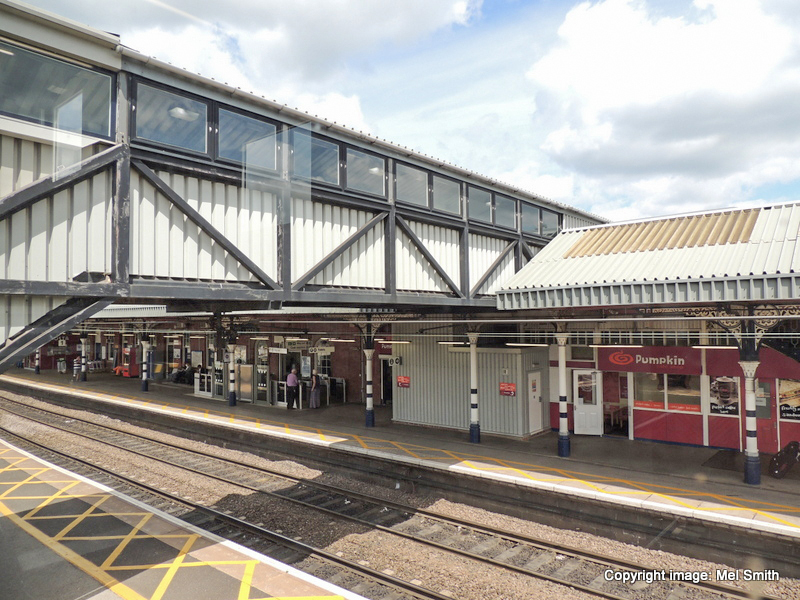 The bridge fits in well with the original architecture seen over the tracks on platform 1 and the 1980s replacement buildings on this side, platform 2. 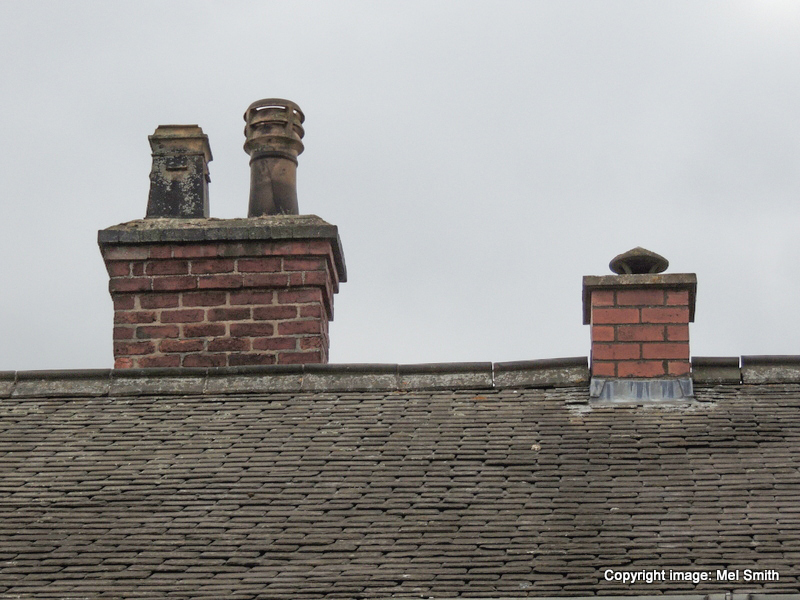 Single and Double chimneys. 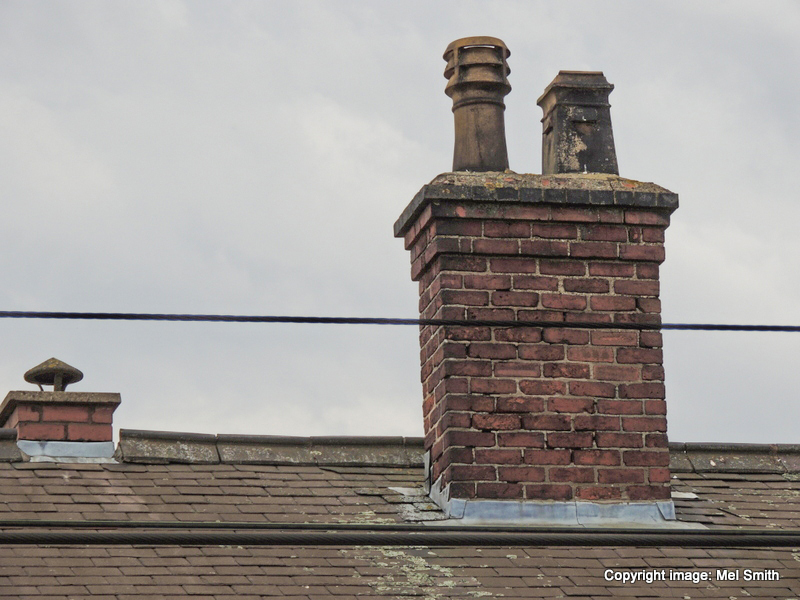 Looking at the displaced apex stonework and modern brickwork used, the single chimney looks like it is a relatively new addition? 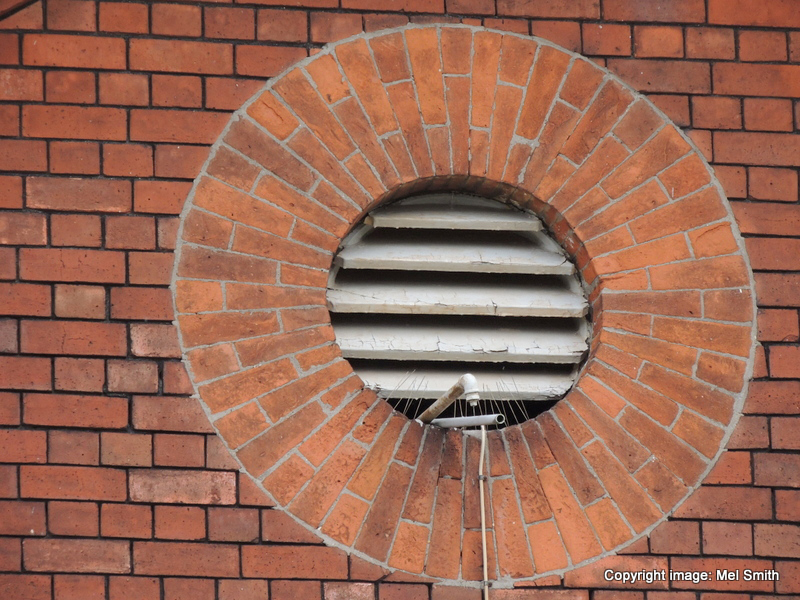 The gable end of one of the buildings on Station Road complete with circular louvre. Close up detail of the circular louvre seen in the previous photograph. 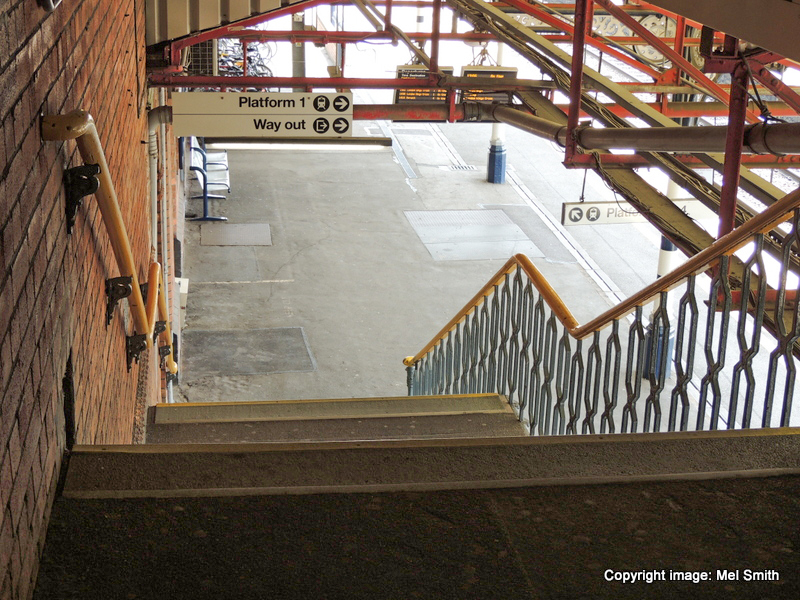 The stairs down from the footbridge to platform 1. Note that the original balustrade has been nicely incorporated into the design. 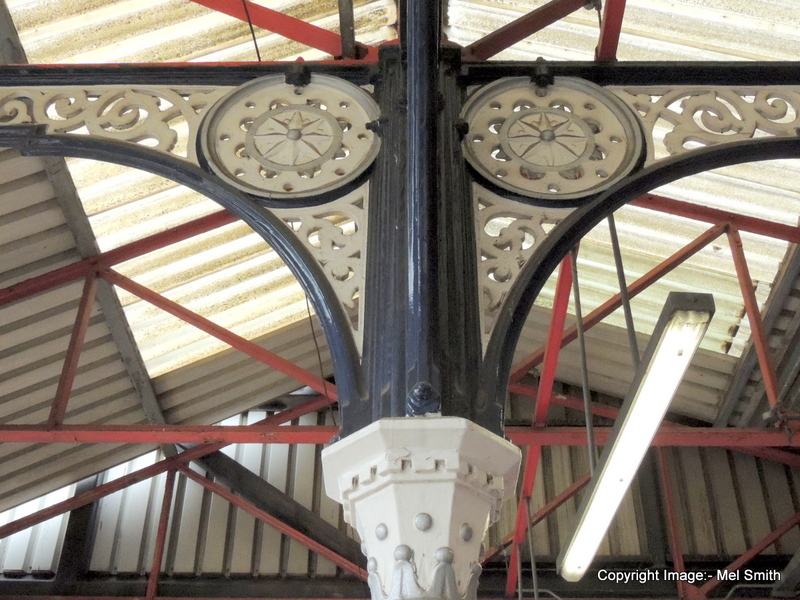 Close up detail of typical column roof supports in use throughout the station. 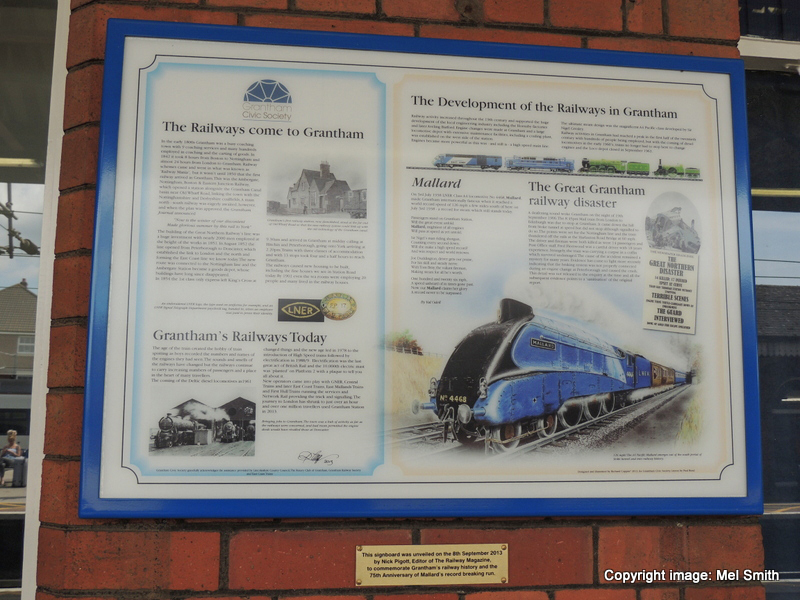 A signboard on platform 1 unveiled by Nick Pigott (Editor of the Railway Magazine) on 8th September 2013 commemorating Grantham's railway history and the 75th anniversary of Mallard's world speed record.